What If My Jars Do Not Seal? 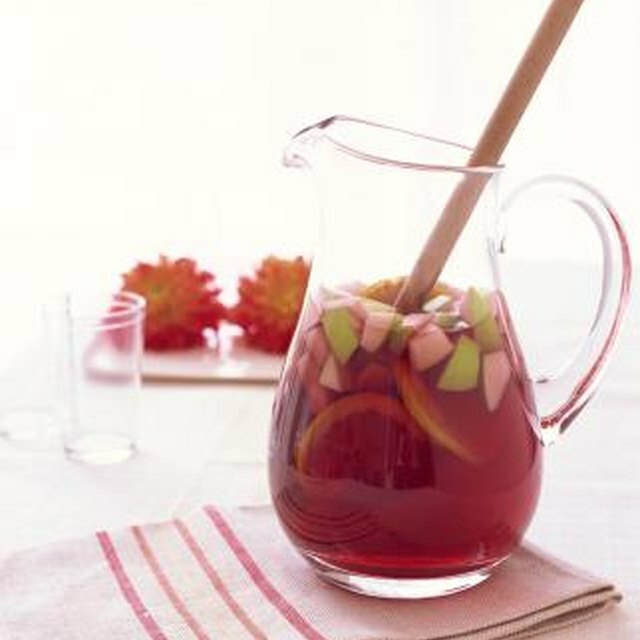 1 Can I Make Sangria From White Zinfandel? 2 What If My Jars Do Not Seal? There's nothing quite like homemade lemon curd. It's wonderful on scones and biscuits. It's also an excellent filling for cupcakes and shortbread sandwich cookies. If you have an ice cream making machine, homemade lemon curd mixed with some cream makes one of the most amazing ice creams you'll ever try. The taste of homemade curd is so much better than anything you will buy at the store, and it comes together in about 15 minutes. It's quite possible you already have everything you need on hand to make lemon curd right now! Give it a try. When preparing a recipe with so few ingredients, it's important to focus on quality. Fresh squeezed lemon juice is critical to delicious tasting curd. Don't attempt to make this recipe with bottled lemon juice, which often has preservatives. A citrus juicer, while non-essential, makes juicing the lemons an especially quick process. Depending on the size of the lemons, you'll need 5 to 6 lemons to get 1 cup of fresh lemon juice. It's a good idea to use a fine mesh strainer to remove any pulp or seeds. This will result in a very smooth curd. In a medium saucepan (preferably one with a heavy bottom), whisk together the eggs, yolks and sugar. In a small bowl, whisk together the cornstarch with a bit of the lemon juice until smooth, creating a slurry. This will prevent the cornstarch from clumping up. Add the slurry as well as the remaining lemon juice to the saucepan. Turn the heat to medium. Continually whisk the curd mixture until it thickens to the consistency of pudding, approximately 10 to 15 minutes. Make sure the whisk hits the bottom of the pan during this process. Once the curd is thick, remove the pan the heat. Whisk in the butter, one piece at a time, until the curd is shiny and smooth. Press plastic wrap directly against the curd to prevent a skin from forming. Place in the refrigerator to chill before serving. Fresh lemon curd should be used within two weeks. Try placing it in decorative jars and offering it up as a gift! What Happens if You Substitute Butter for Shortening in Cookies?